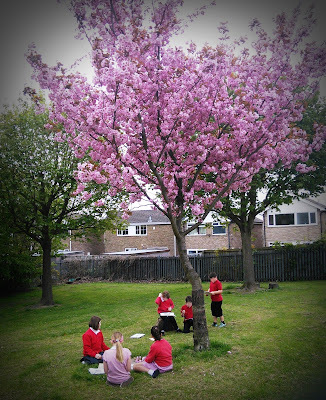 Articulate Education UK: Sakura - Making the most of spring blossom with some creative writing! 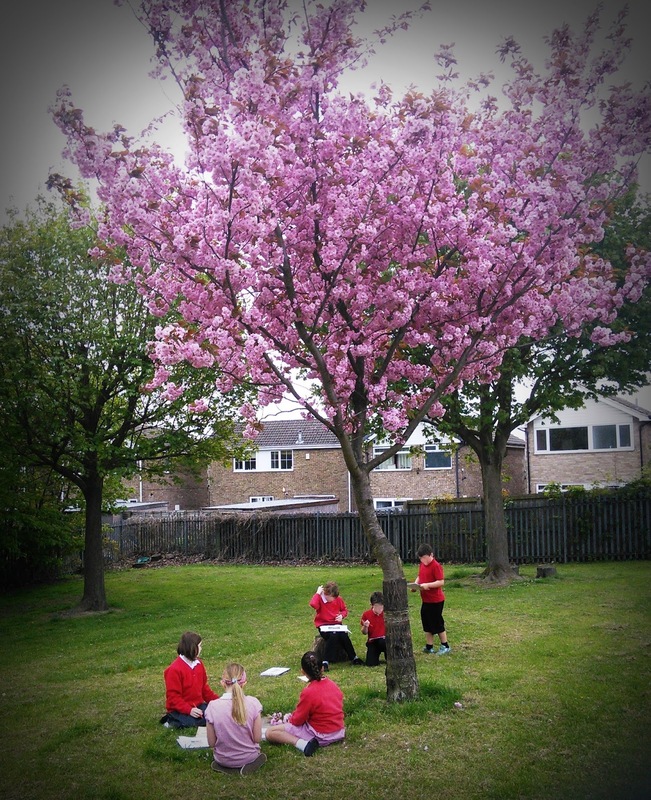 Sakura - Making the most of spring blossom with some creative writing! Children inspiring their writing with a trip to the school garden! Spring has well and truly sprung! Old news for most in the Northern Hemisphere, I know, but as the cherry tree at the end of my garden has now exploded into a cloud of pink blossom, the beautiful growing season is hard to miss. This natural inspiration is priceless and, following on from a workshop about iconic Japanese print The Great Wave, provides the perfect backdrop for some writing on the Japanese Hanami cherry blossom (sakura) festival. Using a selection of Hiroshige and Hokusai woodblock prints as inspiration, my group spent the morning outside in the school garden getting up close and blossomy with the pink blooms. Following their senses, the children developed a vocabulary bank featuring precise verbs (floating, dancing, waving, gliding and so on) and evocative adjectives (silky, glossy, transparent, baby pink, sweet aroma and many more). This was great fun and, as the blossom tree is in the middle of the playground, this is a wonderful way of introducing children to their surroundings in a new way. This could be a great link to your Forest School or outdoor classroom.